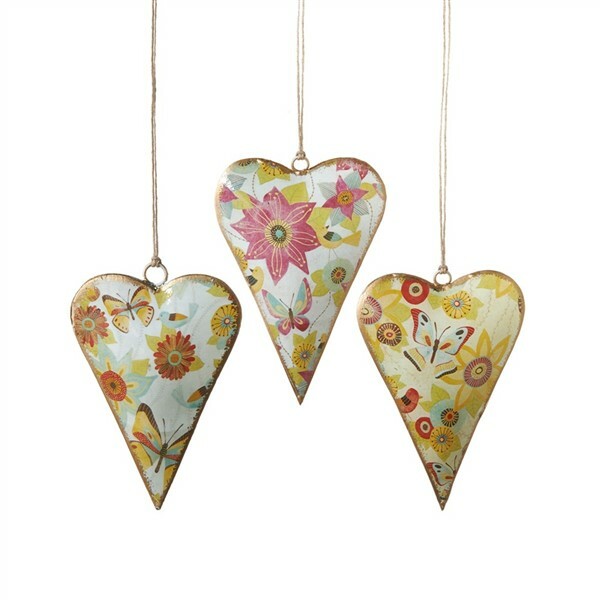 These printed heart ornaments may be used for so many holidays, WE love them! They are made of metal and are approx 3" x 4.5" with a rope hanger. Choose your favorite.